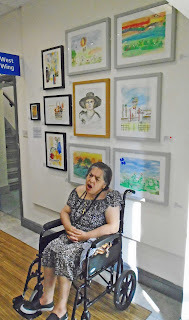 The ART OF CARING exhibition opened with strength and passion with more than 150 guests greeting the unveiling of consistently strong artworks at St Pancras Hospital. 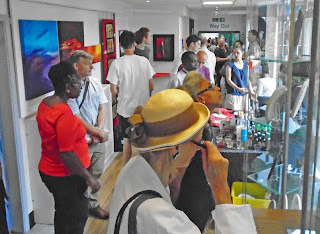 On show was original work from 30 artists as well as postcard art from around 100 worldwide artists. 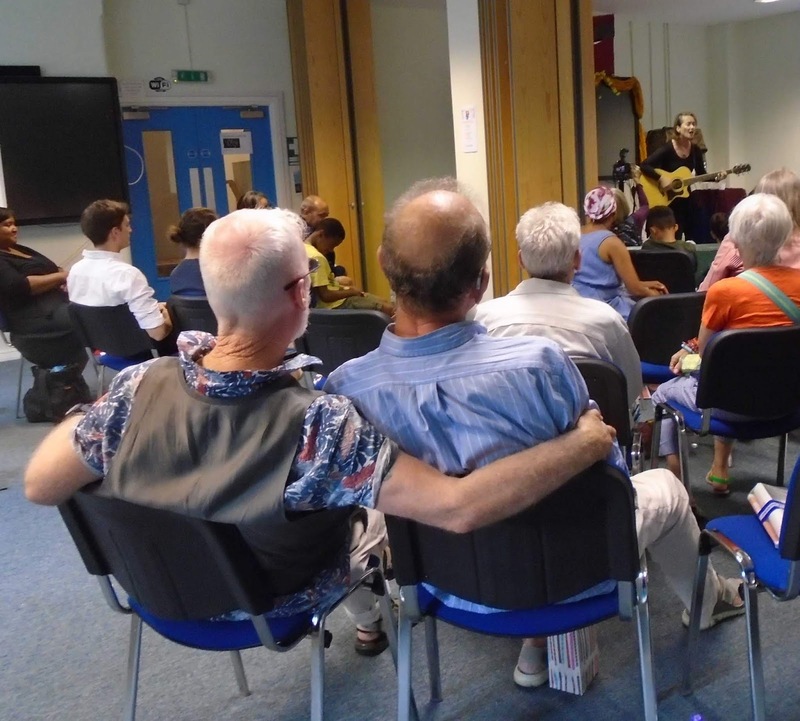 The Art of Caring has grown over its 3 years at St Pancras and is now one of the cornerstones of the gallery's exciting yearly schedule. 2018 offered us a glimpse of political awareness and tender moments of reflection. 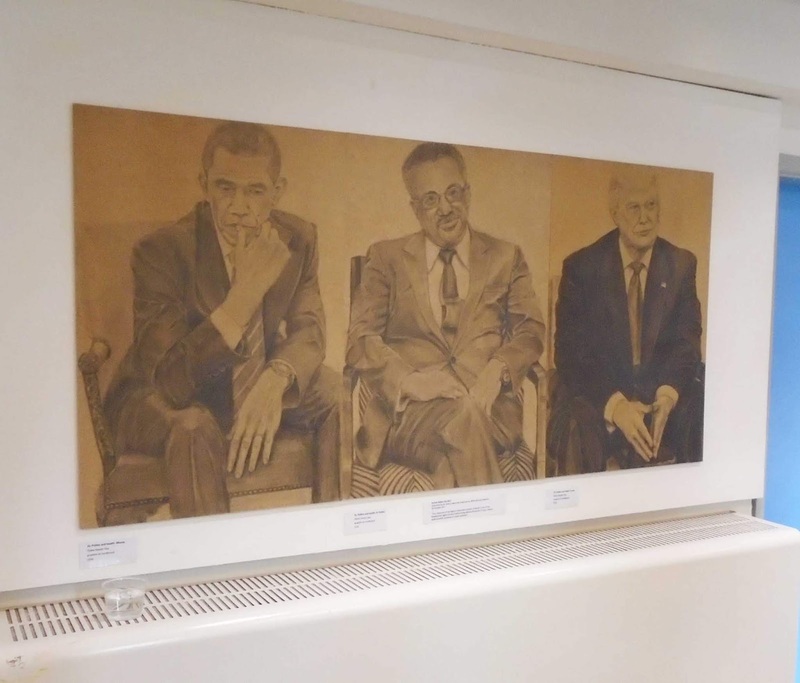 Elaine Harper Gay's triptych of pencil drawings reflecting on the powerful faces of the men who shape our global health. 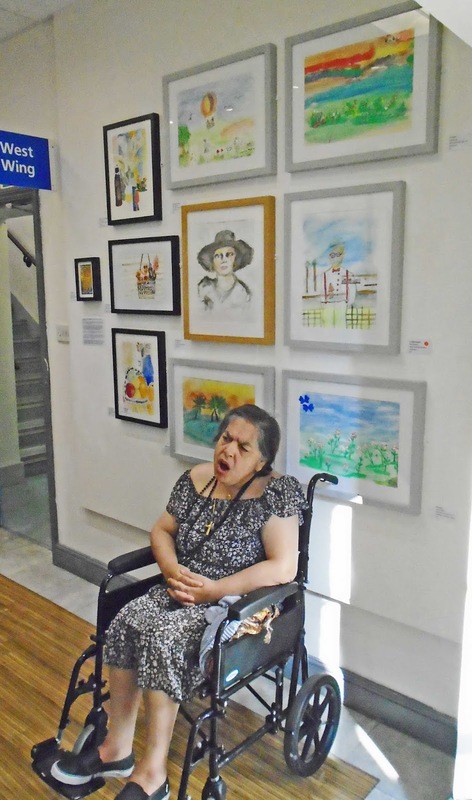 Contrasts this with the work of our youngest artist Lily Mooney who drew inspiration from the power of mermaids, and you'll understand what a brilliantly eclectic exhibition this is. On the stage we heard the voices of the C&I NHS Choir who sung beautiful songs including the seminal Lean On Me. Our guest singers Lucinda Sieger and Bee Ororo wowed the audience with songs of love and hope including a rousing Tom Waites cover song. Guest speakers were Caroline Harris-Birtles, Andrew Machin and Paul Newcombe. Another lively, entertaining and inspired opening night in the gallery. 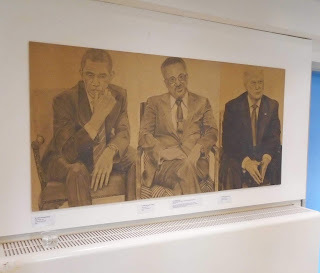 Please do visit this wonderful collection of art. The exhibition runs Monday to Friday 9am to 5pm until Thursday 18/10/18 when the evening will include the premiere screening of Anna Bowman's new short film about the Art Of Caring. And remember to check out our suspended and mobile tennis installation Anyone for tennis? with sketches of players by Alban Low. You'll want to pick up a racquet and throw a ball or two in the air. For more photos please click HERE.